Starmagic confirms Darren Espanto’s participation in China’s Singer 2019. 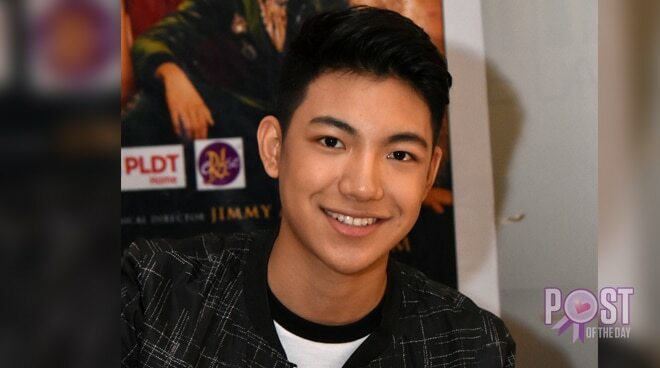 Will Darren Espanto appear in China’s singing contest Singer 2019? This was the question of netizens after Darren posted what seems to be an announcement on his Instagram stories. 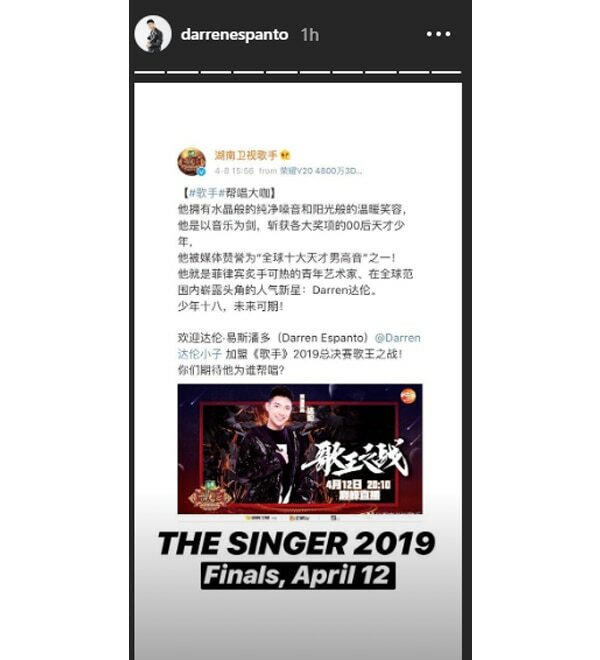 In the said post, it seems to show that Darren will appear in the finals of Singer 2019, which will be on April 12. True enough, Darren's talent management Star Magic confirmed the news through a Twitter post. No other details have been disclosed yet. Last year, local celebrity singer KZ Tandingan represented the Philippines in Singer 2018.